In 2017, Sameer Nigam, founder and CEO of digital payments company PhonePe, flew to China with his team. He visited the office of WeChat, China’s ubiquitous messaging and payments platform, owned by technology giant Tencent. He also roamed around Shenzhen in China to see how offline market was adopting the QR codes. “It is so surreal. Everywhere you go, there are QR codes. WeChat and (Alibaba-backed Ant Financial’s) Alipay are accepted everywhere,” Nigam told Business Standard. WeChat has 1.1 billion monthly active users and it has over one million apps as part of its ‘mini programme’ initiative, which allows users to access services within WeChat quickly and easily. Nigam had the vision to bring the merchant apps on PhonePe platform. But the China-trip and interaction with WeChat officials gave him the much-needed clarity about how to partner the merchants rather than building PhonePe’s own apps to tap different business categories. “They (WeChat) said to focus on becoming a platform and people would come to you if the base is large,” said Nigam, an alumnus of Wharton School. “We want to be a super-app, where we want consumers to transact for everything. "So, I would not build a Hotstar, Gaana or a Hike, but I want to enable anyone who has got a transaction in their business to integrate with us,” said Nigam, who has now set an audacious target to have over 1,000 merchant apps on PhonePe by year-end. 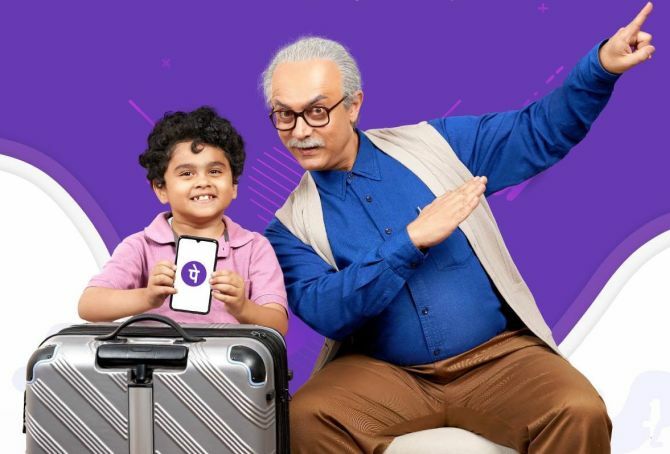 Walmart-owned PhonePe had launched its own ‘apps platform’ in 2018. There are over 35 such apps running on its platform. Customers can place orders on Ola, Myntra and Indian Railway Catering and Tourism Corporation directly within the PhonePe app. The other merchants that have integrated their apps on PhonePe include Oyo, Goibibo and redBus. As part of this strategy, PhonePe on Monday launched Mobile Premier League’s (MPL) cricket fantasy game “SuperTeam” on its platform. With this partnership, PhonePe’s entire 150 million users will be able to play the SuperTeam contests instantly. This launch comes on the back of the Indian Premier League 2019. Nigam said online gaming and fantasy league platforms had seen a huge surge in the past few years, clocking over 50 million users in 2018. “With seamless login and integrated payments, PhonePe platform will allow us to reach a much larger audience base and provide them our fantasy offering during this cricket season,” Sai Srinivas Kiran, CEO and co-founder, MPL. Users get to participate in a range of games and compete against over tens of thousands of players in tournaments. MPL SuperTeam provides cricket enthusiasts across India an opportunity to engage in skill-based gameplay against each other. The Indian digital payments space is expected to rise fivefold to reach $1 trillion by 2023 and it would be led by the growth in mobile payments, according to a report by financial services company Credit Suisse. PhonePe is accepted across 3 million merchant outlets nationally. It is betting big on Unified Payments Interface (UPI), which touched nearly 800 million transactions, amounting to Rs 1.3 trillion in March, according to the data by the National Payments Corporation of India (NPCI). Besides, NPCI’s BHIM app is also using UPI for payments. The number of banks that are now live on UPI are 142. The amount transacted through BHIM until February was Rs 5,624 crore. Last week, tech company Google said its payment arm Google Pay’s monthly active users had grown three times, from 14 million in March 2018 to 45 million in March 2019. Total money value flowing through Google Pay equals $81 billion at an annualised run-rate level.